A lot is happening at the state and local levels regarding the control of natural resources, but center stage this year at the State Water Board and California Legislature are the accessibility and affordability of water. 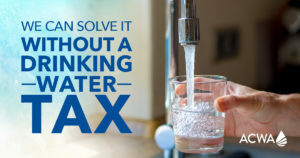 Two programs, the Safe and Affordable Drinking Water Fund and the Low-Income Rate Assistance (LIRA) program, would impose a tax on all residential water customers to fund the programs, and it’s this concept I’m going to focus on today. 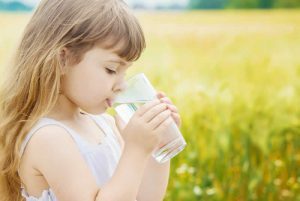 The first program, the Safe and Affordable Drinking Water Fund, would be created through Senate Bill 623 (Monning) and its twin Budget Trailer Bill. The proposals aim to provide money for the cleanup and maintenance of perpetually contaminated water systems in specific areas of the state—none of which is in Camrosa’s service area. The idea is that taxes would be assessed on all Californians’ residential water bills based on their water meter size. Most homes in our district would be charged an additional $0.95 cents per month, but larger properties with bigger meters could be assessed as much as ten dollars monthly. We’ve estimated that these taxes would amount to upwards of $120,000 a year flowing from Camrosa ratepayers to Sacramento for redistribution to other areas of the state. The second program is AB 401 (Dodd), enacted in 2015, that requires the State to establish a low-income rate assistance program for qualifying residents. While the details of the program are still being worked out, the current proposal would subsidize households that make less than 200 percent of the Federal Poverty Level, which amounts to approximately 34 percent of households in California. The program is estimated to cost taxpayers between $400 million and $700 million per year, or five to eight dollars a month per household. Both programs stem from what we consider an expansive interpretation of the Human Right to Water bill, AB 685, which Governor Brown signed into law in 2012. This law declares that it is “the established policy of the state that every human being has the right to safe, clean, affordable, and accessible water.” This is a laudable goal, but there are no definitions of “affordable” or “accessible” in practical terms, nor an explanation of how those goals are to be met and by whom. In fact, the law specifically states that it “does not expand any obligation of the state to provide water or require the expenditure of additional resources to develop water infrastructure” and “shall not infringe on the rights or responsibilities of any public water system.” Nevertheless, lawmakers and regulators are using this bill to justify programs that tax residential water users for services provided to other water users, often in faraway areas. Camrosa certainly supports people having safe and reliable drinking water—it’s what we’ve been committed to doing in the communities we’ve been fortunate to serve for more than fifty years. We do not, however, believe that using residential water bills as the funding mechanism for a statewide social issue is an appropriate way to distribute that responsibility. And practically speaking, we’re concerned about the financial consequences of adding tax lines to residential water bills. On top of the regular incremental rate increases that water suppliers must pass on to their ratepayers (the cost of electricity to move water, chemicals to treat it, plus materials, supplies, and staff), these taxes—an others that may be in the pipeline—could add an extra five, six, ten dollars a month to your bill for which you’re unlikely to see any tangible benefit. Camrosa’s rates are, in accordance with Proposition 218, based on the “cost of service” to get water to our customers. This state proposal to solve a social issue with a tax on your bill goes against that premise. We exist to serve water and the associated services, not collect taxes for state programs. To push back on this proposal, we and a large contingent of other water suppliers and advocacy groups have communicated our opposition to the State through comment letters and public testimony. 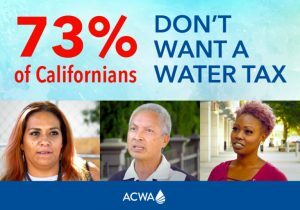 But we’re not just saying “no”: we want to help find more appropriate solutions, like the ones put forth by the Association of California Water Agencies (ACWA), the largest water advocacy organization in the state. 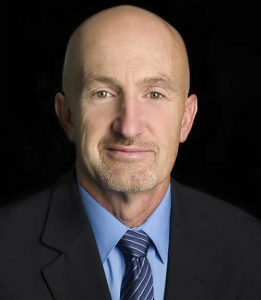 ACWA has proposed a number of alternative funding mechanisms for the program, and other ways to solve these problems are up for discussion. For more information on the taxes, including how to contact your local elected officials regarding the program, see the Water Tax section on our Web site, under Public Info. It is expected that the State Legislature will take action on the water tax bills this month or next, so now is a good time to reach out to your state representatives and let them know how you feel. If you’d like to discuss any of this further, don’t hesitate to contact our Water Resources Manager, Ian Prichard (ianp@camrosa.com or 805.482.6562). Thanks for taking the time to read what I consider to be a top priority for our District and customers. We’ll keep you posted on what develops. Have a safe and happy summer. P.S. Our Customer Service staff can be reached at (805) 388-0226 or customerservice@camrosa.com for questions during normal business hours, and around the clock for emergencies. And for the latest District and water news, visit our Web site at www.camrosa.com or find @CamrosaWater on Twitter, Instagram, and Facebook.